Kenny, D. A., Kashy, D. A., & Cook, W. L. (2006). 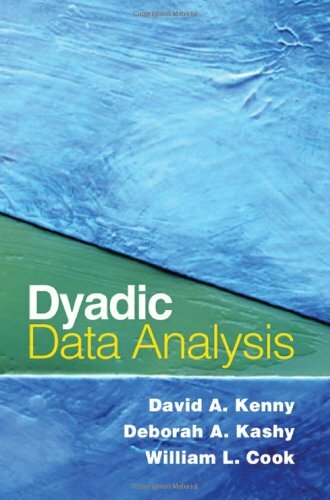 Dyadic data analysis. New York: Guilford Press. Campbell, L., Simpson, J. A., Boldry, J. G., & Kashy, D. A. (2005). Perceptions of conflict and support in romantic relationships: The role of attachment anxiety. Journal of Personality and Social Psychology, 88, 510-531. Davila, J., & Kashy, D. A. (2009). Secure base processes in couples: Daily associations between support experiences and attachment security. Journal of Family Psychology, 23, 76-88. Hagiwara, N., Kashy, D. A., & Cesario, J. (2012). The independent effects of skin tone and facial features on Whites' affective reactions to Blacks. Journal of Experimental Social Psychology, 48, 892-898. Kashy, D. A., Donnellan, M. B., Ackerman, R. A., & Russell, D. W. (2009). Reporting and interpreting research in PSPB: Practices, principles, and pragmatics. Personality and Social Psychology Bulletin, 35, 1131-1142. Kashy, D. A., Donnellan, M. B., Burt, S. A., & McGue, M. (2008). Growth curve models for indistinguishable dyads using multilevel modeling and structural equation modeling: The case of adolescent twin’s conflict with their mothers. Developmental Psychology, 44, 316-329. Kashy, D. A., Jellison, W. A., & Kenny, D. A. (2004). Modeling the interdependence among family members. Journal of Family Communication, 4, 265-293. Kashy, D. A., & Donnellan, M. B. (in press). Conceptual and methodological issues in the analysis of data from dyads and groups. In Kay Deaux & Mark Snyder (Eds. ), The Oxford Handbook of Personality and Social Psychology. New York: Oxford University Press. Kenny, D. A., & Kashy, D. A. (2010). Dyadic data analysis using multilevel modeling. In J. Hox and J. K. Roberts, (Eds. ), The Handbook of Advanced Multilevel Analysis. London: Taylor & Francis.